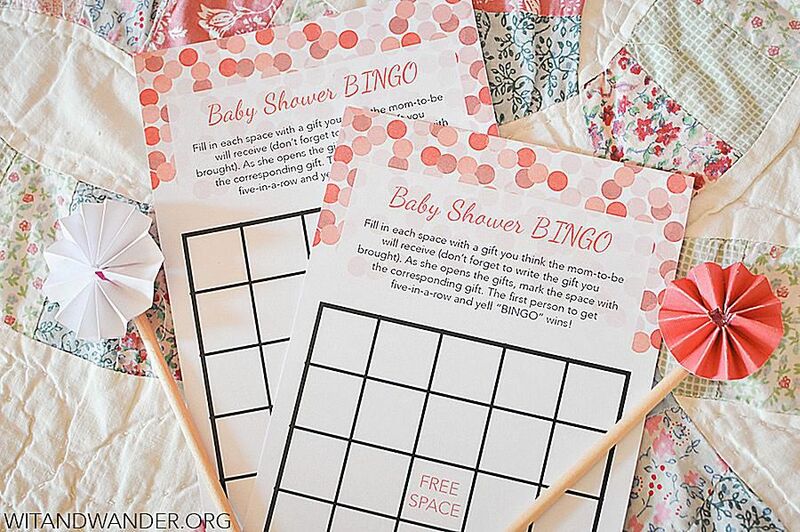 Baby shower bingo is a popular baby shower game that guests and the moms-to-be just simply adore. It's a fun, interactive game that's easy to play and can bring a fun, competitive vibe to the shower. These baby shower bingo cards can be printed from your home computer in just a few minutes time, and since they're all free, the game won't cost you a dime. Below you'll find baby shower bingo cards in all different styles making it easy to find one that will seamlessly fit into your theme. There are ones geared towards boy or girl showers and some others that will work for both or a gender unknown shower. 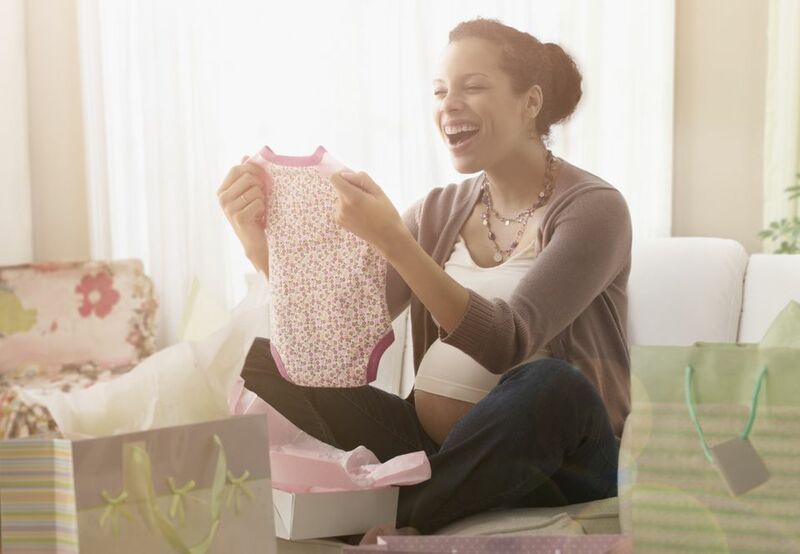 How to Play Baby Shower Bingo: Have guests fill in the bingo card squares with gifts they think that the mom-to-be will receive. The guests play bingo as she opens her gifts. The center is free, and any line wins - horizontally, vertically, or diagonally. Love these free baby shower bingo cards? Find more free baby shower games and free baby shower printables like this one. Wit and Wander has created these free, printable baby shower bingo cards with different shades of pink and coral dots on a crisp white background. These baby shower bingo cards make with the theme of a "Sugar and Spice" baby shower and give you lots of other ideas on how to use this shower theme. These adorable baby shower bingo cards feature a very cute elephant and are available in both blue and pink. There is also a free matching baby shower guest book printable that features the same cute little elephant. Pretty My Party has these free baby shower bingo cards that already have the squares filled in for you. There are 20 here making it easy to use for even a fairly large group. They are designed in a beautiful floral pattern that will add a touch of whimsy and elegance to any baby shower. Aspen Jay has created another adorable set of baby shower bingo cards, and this one is baseball themed all decked out in blue and red. There are even a baseball and baseball bats in the free space. There's also a matching banner that spells out "Concessions," which would be perfect for over the cake and snack table. Kimbellished has designed 6 sets of baby shower bingo games. There are bingo cards with woodland animals, dragons, jungle animals, zoo animals, the Eiffel tower, and pink and leopard print. Each set includes a whooping 100 pre-filled bingo cards, calling cards, a word list, and instructions. These free baby shower bingo cards from Hallmark are simply adorable! They'll go great with any shower theme or color scheme and would work for a boy or girl shower. The best part of these baby shower bingo cards is that the gifts are already filled in the squares making it easy for all the guests to jump in and get playing. Real Housemoms has designed a unique baby shower bingo game that includes vintage hot air balloons and can be used for either gender. There are 24 bingo cards included, and you'll also find a matching ​Price is Right game. Project Nursery has designed this simple baby shower bingo cards in four colors - mint, aqua, green, and coral. These are blank bingo cards so you can customize it for the mom or group of women attending the shower. The bingo cards print four to page, and you'll just need to cut them out before the game begins. If you're looking for a more traditional game of bingo, that doesn't involve opening fits; this baby shower bingo card fits the bill. Crazy Little Projects has designed this set of 12 baby shower cards that includes not only the cards but also the calling cards. There's a blue version like the one in the photo but also a purple version. These are adorable and modern baby shower bingo cards that can be printed in pink or blue. After printing be sure to add the mom-to-be or baby's name to the top of the bingo cards. These free, printable baby shower bingo cards can be printed in blue, pink, or yellow. You'll love how the directions for the game are included on the bottom of the baby shower bingo cards. I love these baby shower bingo cards because they can be printed on any color cardstock you like so you match the theme and colors of the baby shower perfectly. When you print these free baby shower bingo cards, they'll print two per page. These free baby shower bingo cards come in three different color combinations, pink and green, blue and yellow, and green and yellow. Simply print and then follow the directions above to play baby shower bingo.